This week's film review from Bob Garver. 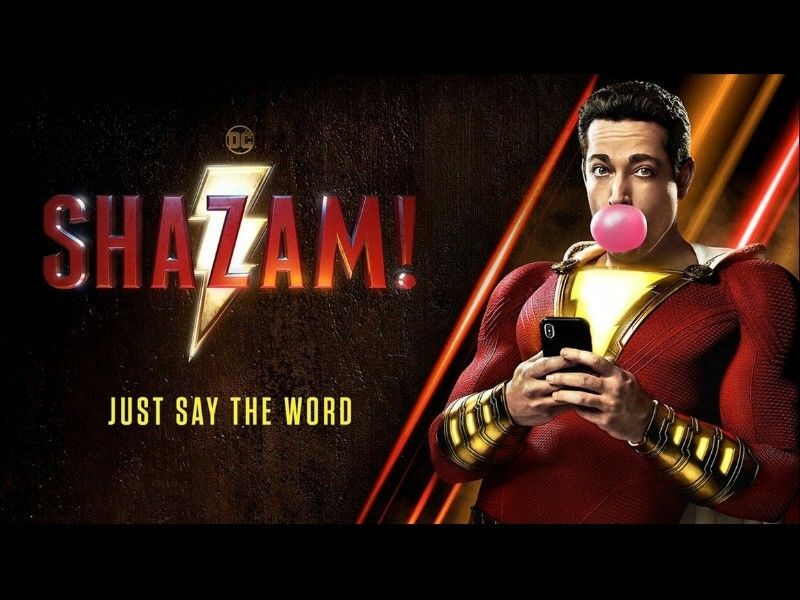 “Shazam!” tells the story of Billy Batson (Asher Angel), a wily teenager who has spent his life running away from foster homes so he can search for his long-lost mother. His latest home includes five other children, including handicapped superhero aficionado Freddy (Jack Dylan Grazer). He’s probably going to run away from them soon, but he notices Freddy getting bullied and performs a rare selfless act in standing up for him. Billy’s act of heroism earns him the attention of the wizard Shazam (Djimon Hounsou), a powerful being who has been waiting decades to find somebody pure of heart enough to inherit his powers before he dies. He has a weird system of testing mettle: he abducts a subject and says he can give them powers, but then allows for a counteroffer from the evil stone-encased demons he keeps prisoner. If the subject tries to take the evil powers, he decides they’re unworthy and sends them away with nothing. I have a hard time believing that decades worth of candidates wouldn’t side with the human, but apparently that’s the case. The opening scene shows a boy named Sivana (Ethan Pugiotto) fail the test and gleam the wrong lesson: that there are really cool evil powers out there. Normally Shazam would give Billy the same test, but he’s out of time, so he just gives him the good-guy powers and hopes for the best before dying. It’s unclear as to what powers Billy has been given exactly, the only thing he knows for sure is that he’s been given an adult body (Zachary Levi), designed to represent him at his physical peak. He gets in contact with Freddy, and together they experiment with sorting out his powers, which include super-strength, bullet immunity, and flying, though not to a degree that it won’t take some practice. Billy mostly uses the powers to screw around and achieve stupid teenager aspirations like buying beer, visiting strip clubs, and showing off. He’s in no way prepared to deal with a real threat, like that of Sivana (now played by Mark Strong), who has finally gotten his hands on the evil powers after all. The character of Sivana is perhaps the movie’s biggest weak point in that he sorely lacks motivation. Oh, he’s extremely motivated by the desire to gain superpowers, prove a point to his disapproving father and brother, and eliminate Billy because he’s a threat, but he seemingly hasn’t thought beyond that. Does he want to take over the world? If so, what kind of ruler does he want to be? Or does he just want to enjoy the powers on a selfish level like Billy? He does confront his father and brother, but it’s so quick that even to his warped mind I can’t imagine that he gets much out of it. Mark Strong is such a great villain actor and this is a role he can play in his sleep. The movie is based on a DC property, and between this and “Green Lantern,” wasting Mark Strong seems to be a hobby of theirs. “Shazam!” is at its best when it’s exploring the relationships between Billy and the people in his life. There’s Freddy, who is thrilled to have probably the best friend he’s ever had and doesn’t quite know how to handle that friendship, and the same can be said of Billy. There’s the rest of his foster family, my favorite of whom is the chatty and overly affectionate Darla (Faithe Herman), though the parents (Marta Milan and Cooper Andrews) are disappointingly shunted to the background for much of the movie. There’s even his mom, whose heartbreaking truth devastates Billy but also shows him where he needs to go with his life. The movie is at its worst when it’s just a superhero action movie because the straight-up battle scenes are unfunny and even worse, overlong. The movie is a mixed bag and I can’t say that I liked it overall, but I respect the things that it does right. “Shazam!” is rated PG-13 for intense sequences of action, language, and suggestive material. Its running time is 132 minutes.